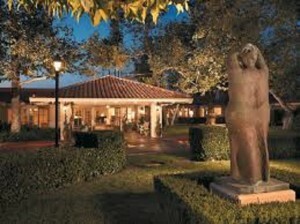 Your arrival at Rancho Bernardo Inn is a bit secluded, relaxed and certainly welcoming! 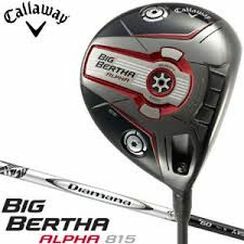 There are golfing experiences that one easily remembers. 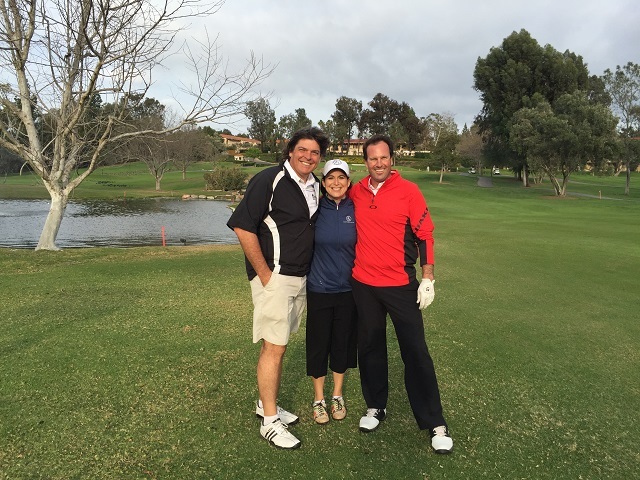 My ‘stay n’ play’ at Rancho Bernardo Inn (RBI) in San Diego was definitely one for a variety of reasons—the golf, the people, the culinary delights and the accommodations for sure. Did I say the people? The staff for sure, the ones I saw and the ones I benefited from but did not see. But my hosts—Food & Beverage Director Jocelyn Kraus and Director of Golf Blake Dobson—were incredibly welcoming and a lot of fun to be around! RBI, as it is affectionately known, has been around since 1963. 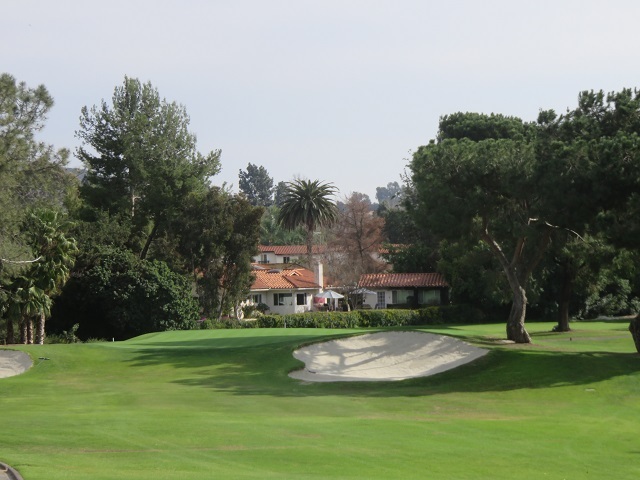 It’s premier Buddy Bell-designed golf course, the same man who designed Torrey Pines, hosted the San Diego Open, a PGA TOUR in 1964 and the LPGA for several years. From there came national notoriety, a 10-fold expansion in guest rooms and most recently a $2.5 million renovation and the opening of AVANT, continuing its renowned fine-dining experience. There are old and new traditions when combined with the people certainly bring forth a unique and diverse spirit to a golf resort. So much so the locals are regulars too for dining, the spa, golf or just hanging out in the Veranda Bar. With Jocelyn Kraus and Blake Dobson on the 18th fairway after a challenging and entertaining golfing experience! Back to my exceptional personal experience with and compliments of Jocelyn and Blake. One can easily see where the source of the high standards and various facets of the guest experience comes— from within the personalities and leadership of these two directors. CLICK here for a Video Interview of Jocelyn Kraus & a Tour of the Dining Options at RBI. With a home on the golf course Jocelyn is never too far from work which works to the benefit of the guests at the Rancho Bernard Inn. Dining options at RBI start with AVANT, a forward thinking restaurant that goes beyond what other restaurants have in terms of facilities and menu. An intimate yet spacious demonstration kitchen complete enables Matt Sramek, Chef de Cuisine and Margaret Nolan Carvallo, Pastry Chef to show their skills to groups as large as twelve people. The menu, and I certainly agree with the words of their website: draws on the best of wine country dining and moves it forward with a contemporary California mindset. Vibrant, creative dishes and artisan libations are served to delight every guest. Even the cheese plate appetizer is extraordinary! 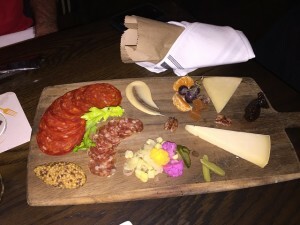 This was no ordinary cheese platter… and neither was the rest of my culinary experience at RBI! 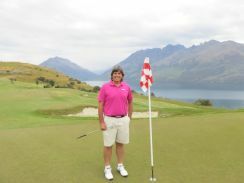 CLICK here for a Video Interview of Blake Dobson, Director of Golf. The picturesque first green at Rancho Bernard Inn. 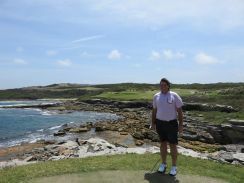 Will you par or birdie the hole? 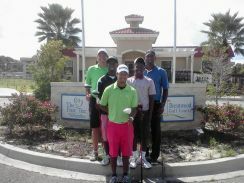 On the golf side of the resort it is all first class as is evidenced by the golf course and JC Golf’s Blake Dobson. It was one of the most fun rounds of my life! As you can see in the video Blake is quite a character with a tremendous amount of golfing talent. That backwards putt between the legs, perfectly within the rules of golf by the way, was for a birdie on the uphill par-4 15th hole. The golf course is memorable with my favorite holes being the short iron over water to a tight green on the 9th, the semi-blind approach shot on the 15th (which Blake easily mastered), the short driveable par-4 16th and the ‘I-definitely-want-to-play-it-again’ complex uphill par-5 finishing hole. Plus the margarita cart is quite refreshing and unique in my mind as I have never seen one of those before! JC Golf, by the way, operates eight golf courses in all. I think this was my room! So comfortable, spacious and luxurious! As far as accommodations, they were awesome—luxurious, spacious and extremely comfortable. JC Resorts operates three other resort properties—Temecula Creek Inn in the Wine Country, Scripps Inn in La Jolla and Surf & Sand in Laguna Beach. 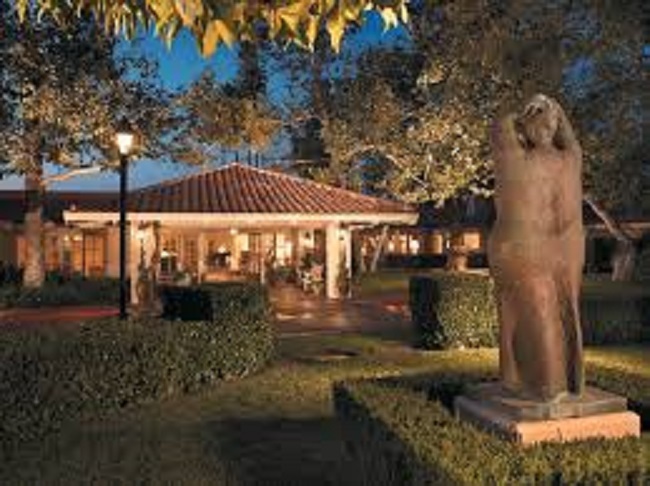 Now is the time to book your visit to the Rancho Bernardo Inn in San Diego. As Blake says—’why say no when yes feels so good?’ Enjoy! CLICK here for an entertaining Video of my day with Blake!